Commercials for both prescription and over-the-counter drugs are so prevalent on the airwaves that you don’t have to wait very long to find one once you turn on the television. In fact, a 2012 study published in the medical journal BMJ reported that pharmaceutical companies spend 19 times more money on advertising than they do on research. While this fact seems quite backwards in itself, it is even more disturbing that the advertising does not quite match the actual research in a lot of cases. In a paper published this year in the Journal of General Internal Medicine, researchers from Dartmouth College and the University of Wisconsin-Madison analyzed 84 television prescription drug ads, and 84 television over-the-counter drug ads that aired between 2008 and 2010, and found that a significant percentage of the claims in these ads were not fully accurate. The research team evaluated the most highly emphasized claims of each of these ads for authenticity, and classified them as ‘objectively true,’ ‘misleading,’ or ‘false.’ Objectively true was defined to mean that there was evidence to support the claim, misleading meant that some evidence was exaggerated or left out, and false meant there was no evidence at all to support the claim. Results of the evaluation showed that as far as the emphasized claims of prescription drug ads, only 43 percent were objectively true, while 55 percent were misleading, and 2 percent were false. As far as the emphasized claims of over-the-counter drugs, only 23 percent were found objectively true, 61 percent were misleading and 7 percent were downright false. 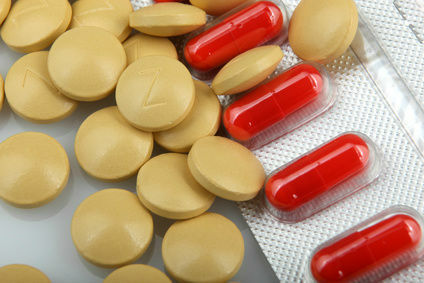 Study author Adrienne E. Faerber said, “there were cases of blatant lying, but these half-truths form more than half of our analysis.” She points to erectile dysfunction drugs as common offenders, as well as to Naftin antifungal cream, the ad which failed to mention local side effects of the drug, as just a couple of examples. While the FDA does monitor pharmaceutical advertisements, they only do so once the ad is already live. In the case of Naftin, the FDA sent the manufacturer, Merz Pharmaceuticals, a letter stating that its ad was misleading. Merz, however, had not updated their website or responded to the FDA by the time this study was published. With this disturbing evidence that both prescription and over-the-counter drugs may be even more dangerous than they claim, it is all the more reason for us to exercise the utmost caution before taking them. Performing our own research of case studies, as well as asking as many doctors as possible about potential side effects, may provide a better idea about the actual risks of taking a particular drug. However, as many effects may be unknown, there are still risks involved. For these reasons, it is worth it to your health to try natural alternatives to both prescription and over-the-counter medications whenever possible. Hey Buddy!, I found this information for you: "Why Drug Commericals are Misleading". Here is the website link: https://www.thealternativedaily.com/drug-commericals-misleading/. Thank you.